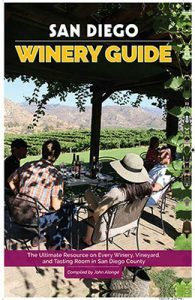 Finally, a complete guide with photos, customized maps, and full listings of location details and wine styles! Did you know that the first wine grapes ever planted in California were planted in San Diego? Did you know that more than 60 varieties of grapes are grown commercially in San Diego? Did you know that San Diego has more distinct microclimates than any other single county in the United States? 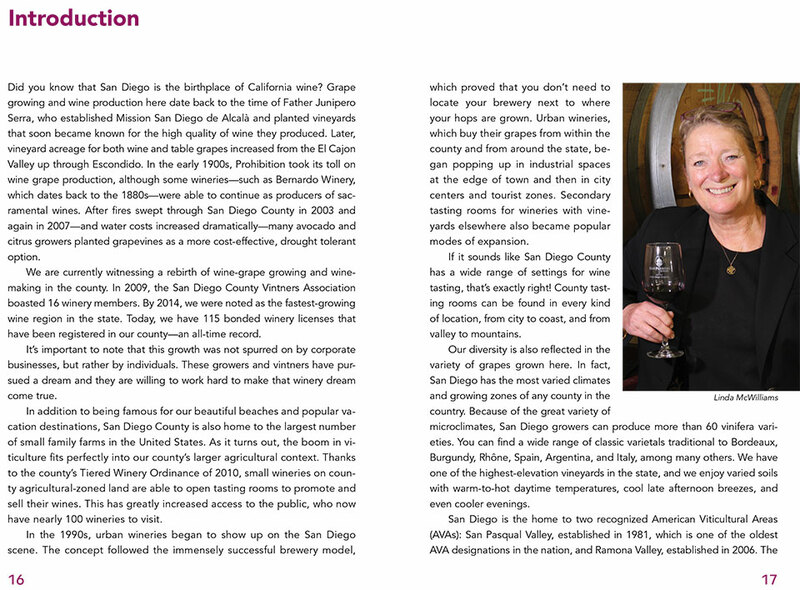 There’s no doubt about it: San Diego is a great place to grow grapes and make wine. 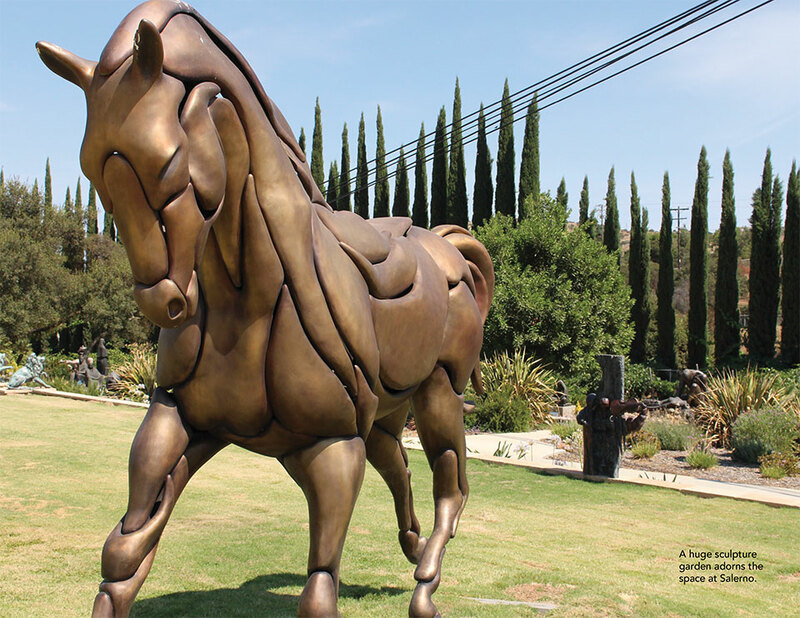 That’s why there are nearly 120 wineries in the county (which does not include Temecula)! 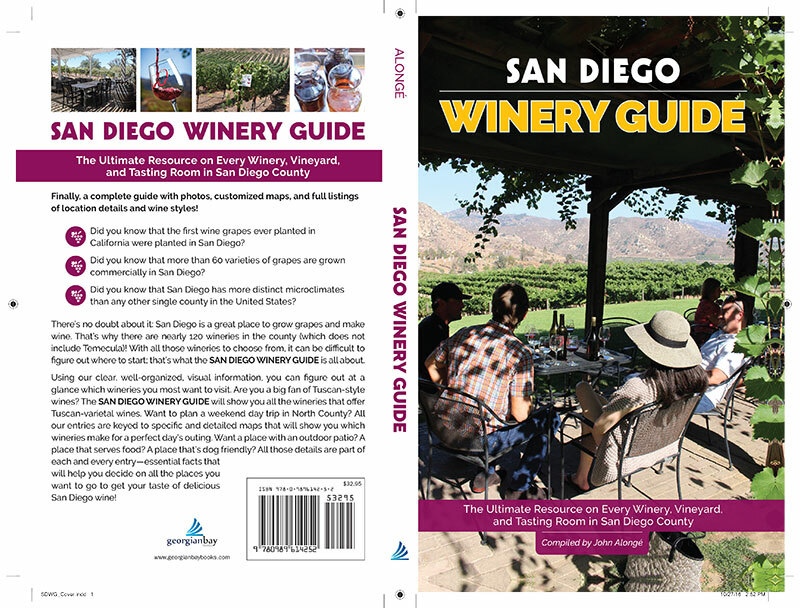 With all those wineries to choose from, it can be difficult to figure out where to start; that’s what THE SAN DIEGO WINERY GUIDE is all about. 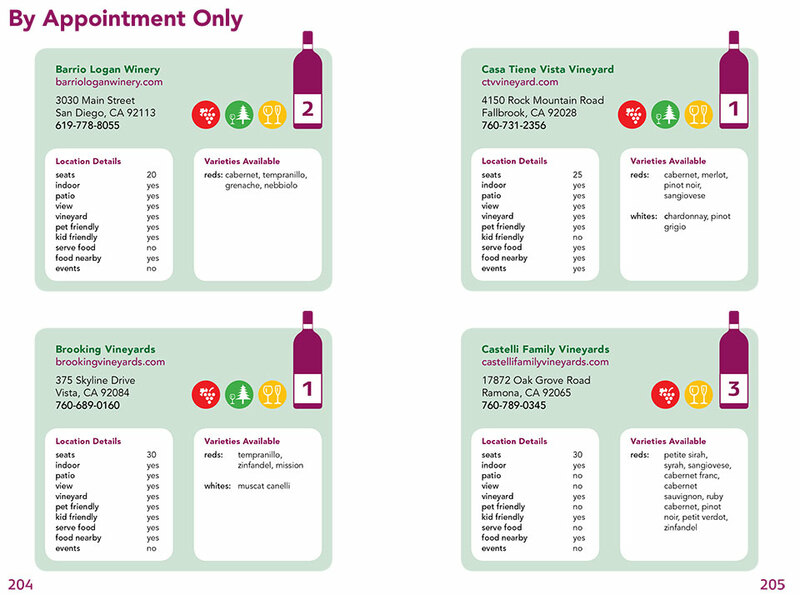 Using our clear, well-organized, visual information, you can figure out at a glance which wineries you most want to visit. Are you a big fan of Tuscan-style wines? 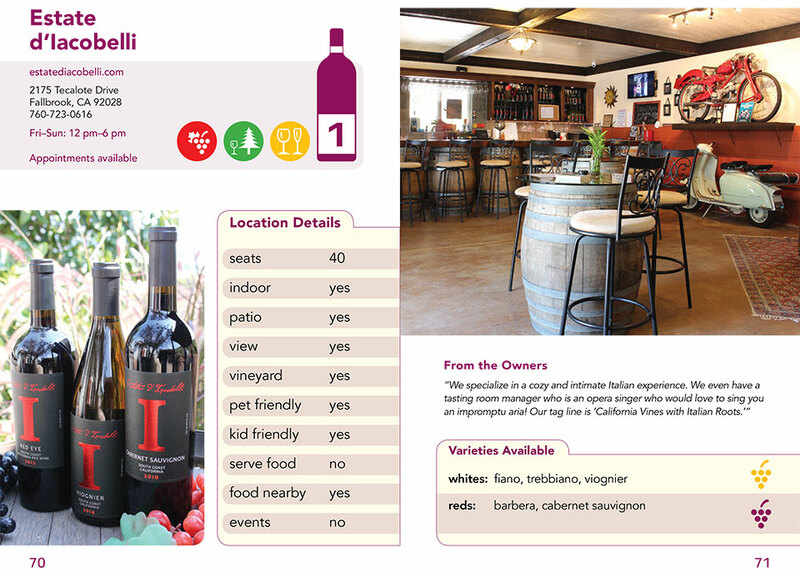 THE SAN DIEGO WINERY GUIDE will show you all the wineries that offer Tuscan-varietal wines. 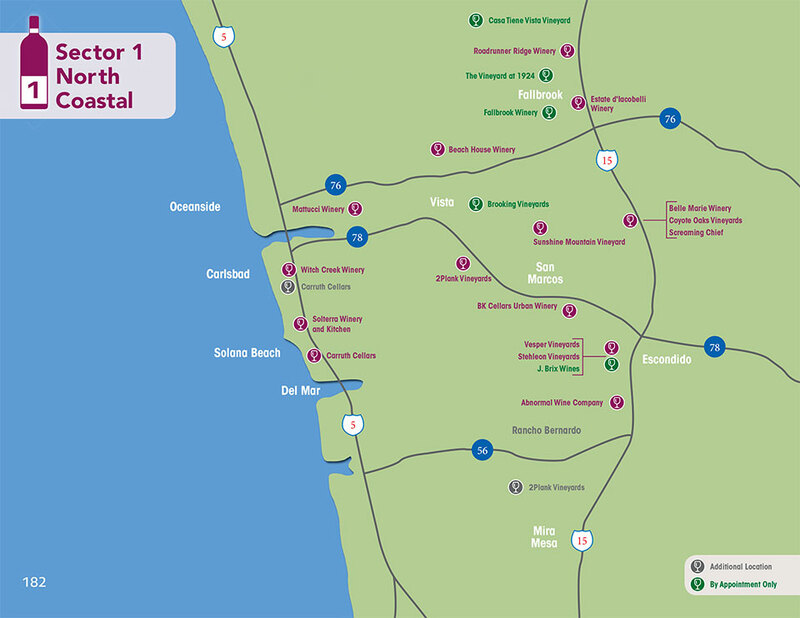 Want to plan a weekend day trip in North County? 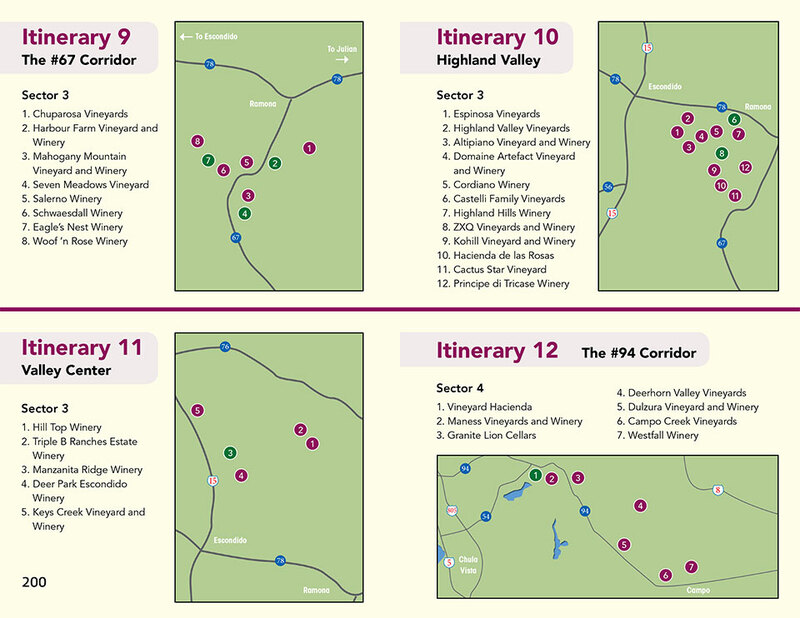 All our entries are keyed to specific and detailed maps that will show you which wineries make for a perfect day’s outing. Want a place with an outdoor patio? A place that serves food? A place that’s dog friendly? 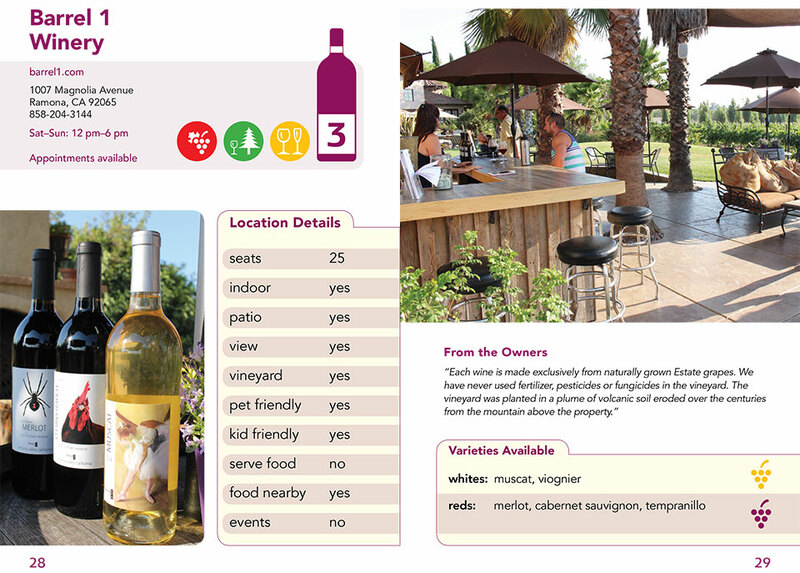 All those details are part of each and every entry—essential facts that will help you decide on all the places you want to go to get your taste of delicious San Diego wine!